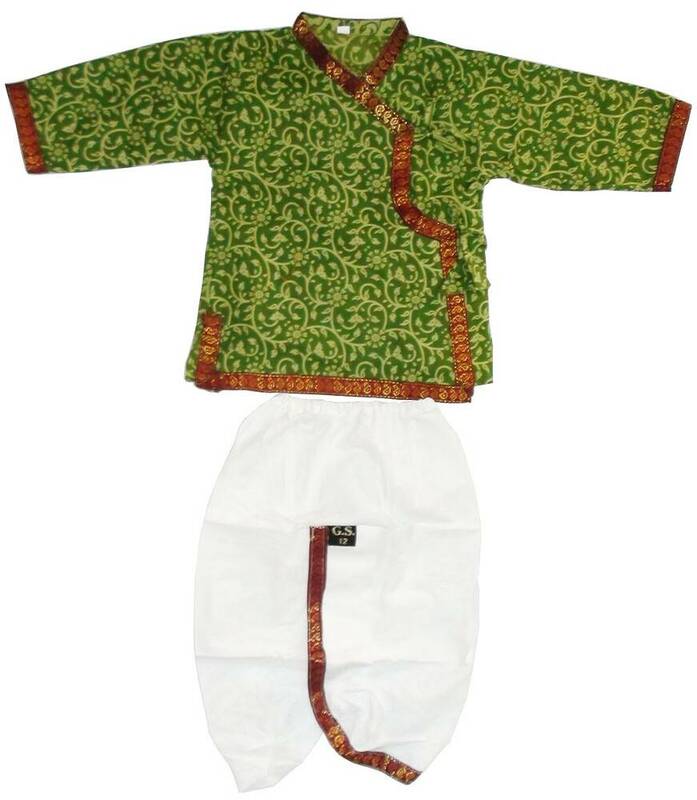 Boys dhoti and kurta set, comes in a range of sizes starting at babyhood. Nice variety of colors and styles. Please see size chart below.